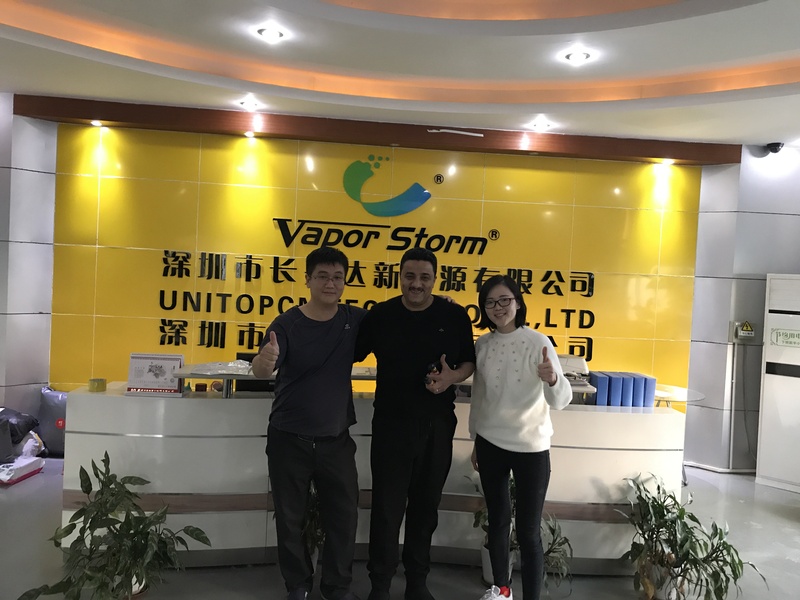 Welcome Egypt customer visit Vapor Storm Factroy, Look at below picture 1, the Middle one is Mohamed Fathy, he is the boss of Max Power Co., Egypt. The left one is Vapor Storm boss Tony Liu. Look at the below picture 2, he is the Manager of Max Power Co., Egypt Mr. Sherif Mohamed, On the meeting, we talking about Egypt vape market details, products, and long term cooperation strategy. Sincerely thank you support Vapor Storm and looking forward keep long term cooperation with you.